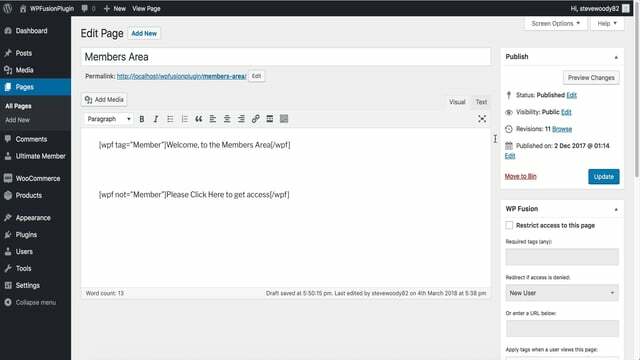 WP Fusion also lets you apply tags based on a user’s behavior. 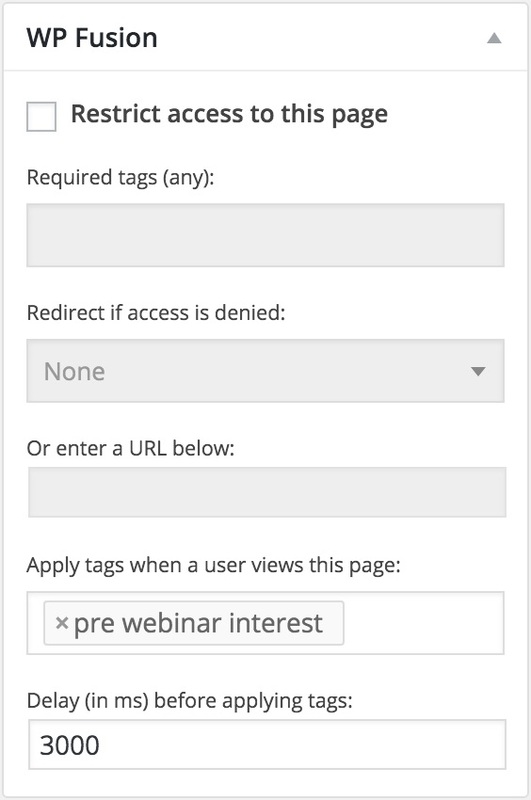 In the screenshot on the right, you can see we’ve left “Restrict access to this page” unchecked, but we’ve put the “pre webinar interest” tag into the “Apply tags when user views this page” box. In this case, we’ve also set a delay, so the tag will only be applied after the user has spent 3 seconds (3000 milliseconds) on the page. You can leave the delay field blank, or at 0, to apply the tag immediately when the user views the page. You can use this tool to track where a customer is spending time on your site and integrate that data into your CRM’s marketing automation tools to send highly targeted messages based on their browsing activity.